American neuroscientist, Dr. Robert Sapolsky, states that there is a widespread and dangerous notion that has taken root in our dominant scientific understanding of human behavior. The notion is we believe that human behavior is genetically determined. This deterministic view of life suggests life is rooted in biology and genetics, that we are our genes, and that genes cannot be changed. This notion is used to support the view that human nature is governed by an innate self-interest, a trait we developed through evolution. This notion suggests that mental health conditions, addictions, most of our physical disease, and or violence could be explained in respect to our genetic inheritance. This is a dangerous notion because if we suppose this to be true we do not have to worry about changing the social pre-conditions that fosters social dysfunction. Dr. Gabor Mate, a physician and addiction specialist, states that this is the "genetic argument." It allows us the luxury of ignoring past and present historical and social factors as they relate to our modern day social ills. Dr. Mate, Dr. Sapolsky, and others, believe that the genetic argument is a cop out. Gabor Mate suggests that no condition is solely genetically determined. 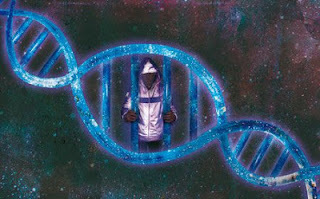 He understands that there is a genetic influence, but his claim is that the environment in which we live in and take part in determines, ultimately, which genes will express themselves and which will not. In support of this claim he highlighted a breast cancer study that found that for every 100 women with breast cancer, only 7 of these women will carry the breast cancer gene. And out of all the women who do have the breast cancer gene, not all of them will get breast cancer. It would seem logical then to state that the stressful and toxic environment in which we live has a greater influence over the development of breast cancer than the genetic influence itself. Given our stressful way of life we allow our genetic predispositions for violence, apathy, and greed to explode into epidemic proportion. I will go into the social institutional influences in a latter post, but as we start to explore this topic I suggest we start looking at the importance of childhood. British researcher, Richard Wilkinson, states that child rearing strongly effects gene expression. I feel that Dr. Mate and Dr. Sapolsky would agree. It is scientific fact that within the first five years of life most of our neuronal connections undergo development [source]. Childhood is the point in the human lifespan where we are most susceptible to the ills of our society. There is a term in neuroscience called Neural Darwinism. The term suggests that the brain circuits that get the appropriate input from the environment will develop optimally, and if these neural circuits do not get the proper input they will not develop properly or at all. So for example, if you put a child with perfectly good eyesight at birth in a dark room for five years this child will be blind for the remainder of his or her life. This is because the circuits for vision require light waves for their development. Without this light the vision circuits become weak and eventually die [source]. In a significant way our early experiences shape our adult behavior and dispositions. Note that physical input, as well as emotional input, from the environment influences neuronal development and gene expression within children. So therefore, if children are not raised in a way where they are safe and compassionately engaged they grow up to see the world as an insecure and untrusting place. They become "wired" this way. Each parental experience is the gateway into future, not only for their offspring, but for their community and beyond. I understand we live a stressful life, but our adversity as parents is passed onto children. Our emotional disposition, after a stressful day, gets passed onto our children. How nurturing or how apathetic we our towards our children paints the picture of how children will develop to see, experience, and relate to the world. Our genomes can be expressed in a multitude of ways. Some genes become activated while others stay dormant. Yet this process depends on how we develop within our environment after birth [as well as while we are in the womb]. That is why parenting is one of the most important social responsibilities. We need to understand that our societies most violent criminals were victims of forms of substantial child abuse. Violent people are not just violent because they are "wired" that way. Society breeds violence. Communities breed violent people. People breed violent people. And if we are going to progress socially we need to all become responsible for the way in which our society operates. We need to realize that we pattern our social and political arrangements according to the dominant vision of our physical reality. And as it stands now our dominant view of reality is that people are "the way god made them," or that "they just are the way they are," or that a person is mentally ill because their "disease" is "genetically determined." For how long are we going to stay in denial and stay stubborn? Isn't it time to observe and question our dominant views of reality? If we are going to create a great society we need to. The Buddha argued that everything depends on everything else. The "leaf contains the sun, the sky, and the Earth." And in terms of human development and progress everything is connected. The same goes with genetic expression. Our genetic expression changes in tandem with the evolution of our collective social ideologies. There is undoubtedly a genetic contribution as to how we respond to our environment, but there is also something about the human experience that gives us power over inheritance. That power exist in the form of awareness and choice. Herein lies our ability to influence the evolution of our species. I feel that this is a moral dilemma because it has to do with our collective will and intention.